Corporate governance – as a functionalist approach to the promotion of efficiency and wealth creation and an antidote to stagnation and corporate scandals – has been much in vogue for a few decades now. Influential publications on corporate governance rank among the most cited in the social sciences. The contributions in this special issue engage with this field and the outcomes it entails, suggesting it is a political-ideological project based on a set of questionable conceptual and empirical assumptions, which in turn entail a set of norms and prescriptions – a normativity – with devastating political-economic effects. 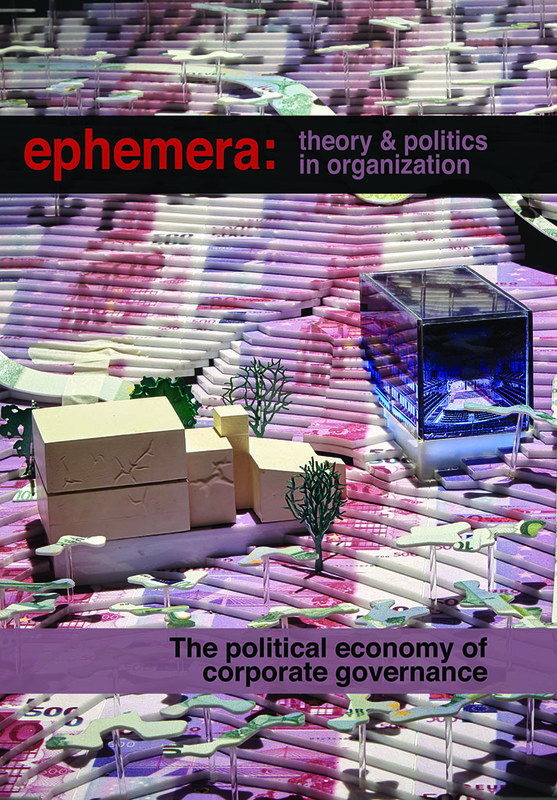 The issue focuses on the distributive effects of the orientation towards shareholder primacy; the diffusion and dominance of new ideas in corporate governance; and the conceptualization of the corporate form itself. It offers a contemporary insight into the field of corporate governance for critical management and organization scholars, and provides the basis for new interdisciplinary research into the political economy of corporate governance.